Makers of great coffee on the beautiful UBC campus. *at least we like to think so! On the beautiful UBC campus, Great Dane Coffee is located behind Gage Towers and beside VST. OUr second location - right next door - is now open. 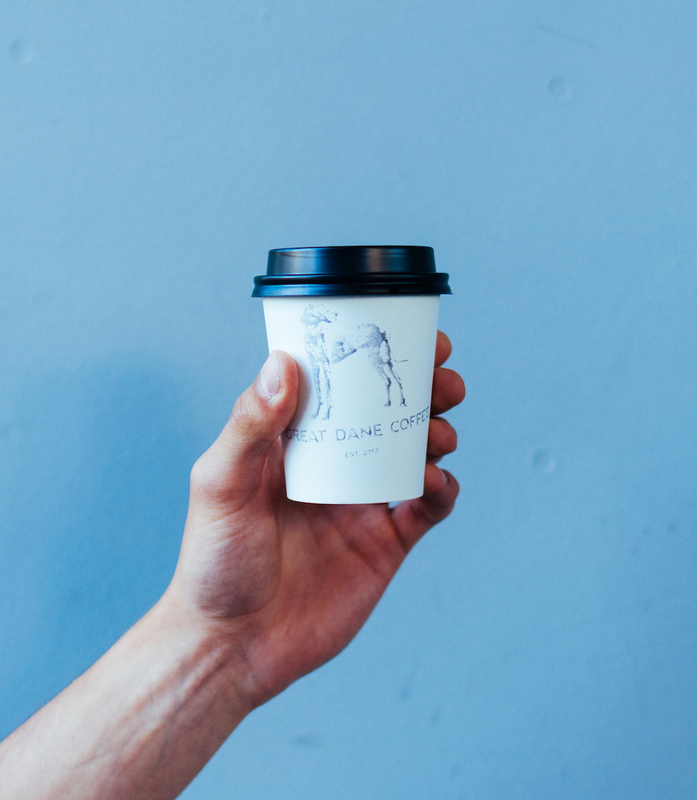 Great Dane Coffee was started in 2011 by mother and son combo, Toni and Andrew. Andrew, an alumni of UBC, missed the energy and beauty of the campus. When they found the space, they immediately fell in love with the beautiful patio, cozy inside space and off-the-beaten-track feel. Our goal is to make all of our food in-house, locally source our meat from ethical farms and make the best possible product. Come visit our second shop - literally right next door - for more seating. And yes, it's named after Andrew's Great Dane, Lady. Espresso, add some water, boom! Some spro, milk, foam. Magic. Milk steamed just right. Our thing. Mmm. Chocolate. It's like a happy latte. How do I get the accent on the e? Brewed coffee + espresso. Sometimes you need it. Our green tea is from a former samurai village. Says it all. The name screams cozy. Jagasilk. Seriously went through 10 different chai's before we settled. Kid sizes and kid-adult sizes! Grab one on the way to yoga class. Granola made in-house. A classic. Three cheese, in-house bread. Too many flavours to list. Blueberry lemon, white-choc raspberry, bacon and cheddar, and more! Sometimes we make in-house, sometimes from the best place in the city. Always delicious. Butter or chocolate. Both sound good right now. Sweet or savoury, all made by us. We're always innovating, always creating.